Ask any marketer “What is the number one way to increase form conversion?” They will likely say reduce the number of fields on the landing page form. Too often companies focus on increasing conversion rates without considering the impact further down the funnel. The empirical evidence as well as personal experience, demonstrates that fewer fields lead to better form conversion rates. This singular statistic is the driving force behind the growth and mindshare of progressive profiling, a feature on virtually every marketing automation platform, including Oracle Eloqua and Marketo. Sounds great, right? You benefit from higher form conversion rates and then use progressive profiling to capture the rest of the prospect data over time. However, there is a downside to progressive profiling that many companies do not understand. For progressive profiling to be successful, a prospect must visit a website more than once and fill out multiple forms to fully build out their data profile over time. What if they don’t? 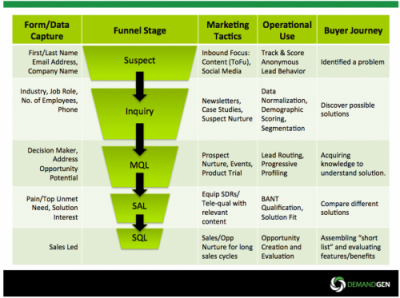 Lead scoring, lead assignment and segmentation are all examples of operational processes that will fail if certain data is not available at certain stages of the funnel. Lead Scores are too low. 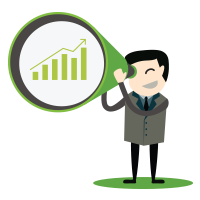 This prevents qualified leads from achieving MQL status and being sent to sales. Leads are assigned to the wrong teams. Small business reps could receive Enterprise leads. Leads are not properly segmented. Prospects are sent content that is not specific to their segment. Companies must make sure that they develop a form strategy (potentially supplemented by enrichment) that captures all primary data necessary for marketing, sales and operational processes. Only then can progressive profiling be used to populate secondary and supplemental data points. If you capture too much data too early, you risk depressing your conversion rates. If you capture too little, via progressive profiling or the wrong form, a lead will get stuck in a stage unable to progress down the funnel. 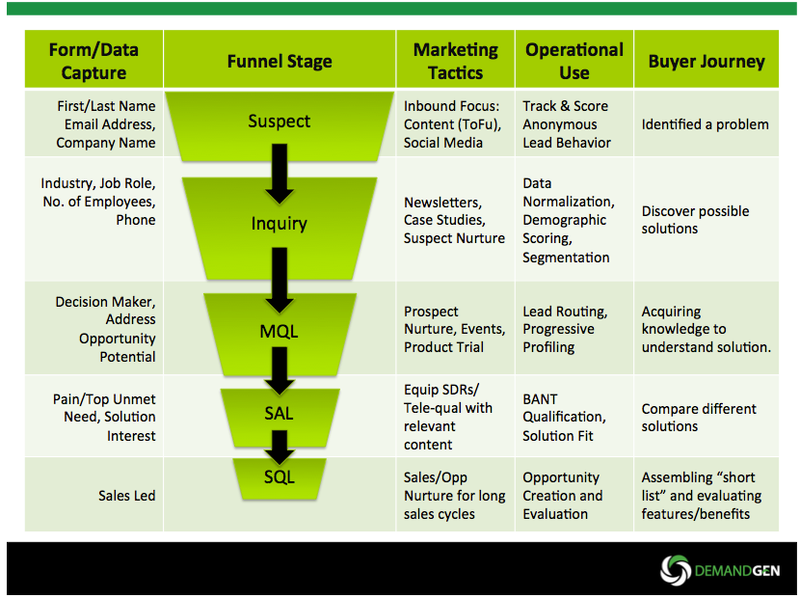 Use the chart below as an example for creating a workflow form strategy that is aligned to the funnel stages. Interested in knowing more about form strategy with progressive profiling and data enrichment? 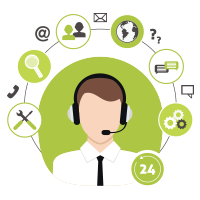 We’d love to talk with you; to schedule a call, just drop a note to our Business Development team.